The Sundarbans (Bengali: সুন্দরবন, Shundorbôn) is a natural region comprising southern Bangladesh and a small part in Eastern India. It is the largest single block of tidal halophytic mangrove forest in the world. 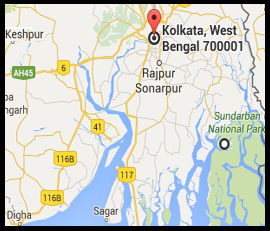 The Sundarbans covers approximately 10,000 square kilometres (3,900 sq mi) most of which is in Bangladesh with the remainder in India. 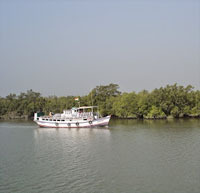 The Sundarbans is a UNESCO World Heritage Site.